Finding the right job with some efforts put in the right direction is more fruitful than ever. Thanks to the benefits of the digital world due to which people sitting across the world can network and hire or find the job as per the availability. Connecting people through social media has never been better before. Yet the job market is still competitive, but with the right approach one can turn out to be a winner since the opportunities are available to those who want it. Similarly, LinkedIn is one such social media channel which is designed only for professionals, where people connect to fulfill the needs and demands of the industry. One can find network and contacts because of which creating your own world of people becomes more effective and beneficial. Your profile picture is your identity; this is the first step for someone to recognize you. Make sure to put up your latest photo, also keep in mind to use a professional photograph rather than just a casual one. Because it is advantageous to use a professional picture and it will be easily recognizable to the hiring manager too when you go for the interview. Avoid using photographs in groups, on a beach or any other casual depicting image. Remember LinkedIn is completely different from Facebook and they both can’t be treated the same way. Therefore, think before putting up the picture, what is the kind of image you want to communicate to your prospective employees. Another important aspect of any LinkedIn profile is how much of it is worth looking at. Remember, a complete profile is the one any prospective hiring manager will prefer to look into. Ensure that, you have an all-star or an expert level completion in your profile. To achieve that mention your current jobs, previous jobs, certifications, and education. It is also important to mention the right information, prevent from writing the wrong information; LinkedIn is your online resume, where best of the people would like to see your professional side of you. A good summary is a way to briefly tell about your skills and talents you possess and a way where you can mention to people to connect you, rather than writing in your headline as “an active job seeker” in your industry. This will look too desperate and might drive away the hiring managers. It is good to have a call to action summary. Having a personalized URL for LinkedIn will ensure that you are easily remembered by the hiring person, it is more effective than the random URL number assigned by LinkedIn while creating a LinkedIn profile. This option is available in the “Public profile settings” on “Edit”. 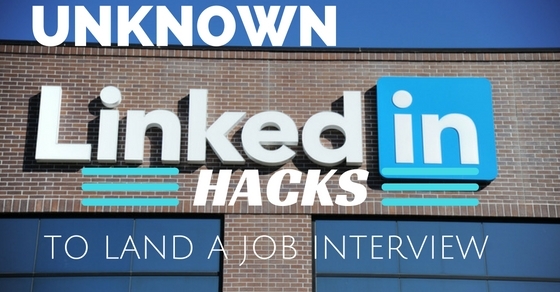 The whole idea to change the settings is to be easily highlighted, this is even helpful when sending your resume and mentioning the LinkedIn id for easier reference. A good headline about you mentioning your core skills and talent will give quick information about, to the hiring manager. For example, “student in a certain college” is not as effective as “Marketing specialist for Luxury brands”, as this gives more clear information about your specialization and will make it easier for the right company to contact you. Try keeping the headline short and informative and it should have the power to intrigue someone. Ensure not to lie about your skills mentioned in the headline but better to write about yourself which is true to your experience and expertise. This is one good feature of the LinkedIn platform. Keep the update option activated because once you update your profile, it will show to all the connections added on your network. This will enable everyone to see what you are up to or what is the new skill attained by you. Update option is a medium wherein you can reach out to most of the people in your network with minimum effort. If someone needs to reach out to you for your skill they will surely contact you and might offer something good. Social media is a place where everyone is stalking the other person to know as to what is going on in their lives. Be it Facebook or LinkedIn, the difference between these two is that it is not easy to know on Facebook if someone is stalking while in LinkedIn the option is available to choose if one wants to be known, to be stalked or not. While looking out for a job, it is important to know that sometimes stalking is fruitful, therefore, keep the option on for the same. Visit the profiles of the people to whom you sent your CV, which will be effective for the hiring manager to remember you as it will be visible in the “see who’s viewed my profile” option. Recommendations are another way to easily impress the person looking at your profile. It might be embarrassing to ask someone for the recommendation, but to get the effective LinkedIn profile page, this is one important step need to be taken. Make sure while asking for a recommendation, the person knows you very well and has worked with you on close terms. As this will give an edge where they can write about your professional skills and talents. The benefit you can also provide to others by proposing them to write their recommendation defining their skills and talents, wherein this will be a situation where both of them can get the advantage. Endorsement is one the interesting features of LinkedIn, where you can endorse people and then they can endorse you. The endorsement is the feature where your friends in the network can list you for some specific skill; generally, it is not verified and becomes the list of skills you have. This becomes a benefit where you can have a good long list of skills that you have and the prospective hiring manager will get a chance to see the skills people trust you on. But ensure that you have the right kind of skills endorsed, don’t add the skills which are not relevant for you. Focus only on what you want to be known for. To find the potential recruiter it is good to join some professional groups in your relevant industry. Rather than just joining, try participating in the conversation and be more and more interactive. Other than industry specific there are some general groups meant only to connect people and find jobs. Try making contact through these groups. There are many senior level people who post updates in the relevant industry or share various job openings, which are beneficial for the prospective employees. These groups are more than job seeking platforms, people share various educational and informative articles on their industry and that is helpful for research and learning what is the new happening in the industry. Also, put up questions in the discussion forum and let others respond to your ideas. The important benefit from LinkedIn one can truly get the opportunity to connect those who are not in your network. The options for first, degree, second degree or third degree is a way from which you can learn how you are connected to the person. The common channel who can lead you to the required person you need to connect. With the help of the people in your network, you can get yourself introduced to the person to whom you want to connect and interact, through the second or third-degree connection. Don’t feel shy to connect someone, because you never know from where the opportunity might get in and you land up in your dream job. The best way to interact with anyone is connecting your previous students from your college. Alumni are the best way to meet people from your industry and find the relevant job for yourself. LinkedIn’s education features allow you to see who all are from your college in the possible network you can reach to. Another option of “Find Alumni” is available which helps to reach out to the people from your college. The advantage of this feature is, you might land up with people who were there in the college years ago and now they might be holding some relevant position in the industry. Connecting those increases the chances of finding better opportunities for people from the same college tend to bond better. LinkedIn has a feature of the portfolio, where you can not only write about your skills but show them to the people in the form of visuals. You can add your summary in visuals or post some interesting videos on the same. It is a way to show your creative ability to and it will let you stand out in the crowd. This option is available in the “Edit” where you can add the media in your summary and other information and later this can be downloaded for your future reference. Search engine optimization is a way where it becomes for people to find you easily. The internet is highly dependent on SEO and it is one tool which can bring a lot of benefits if used correctly. The SEO strategy is dependent on the right keyword because it is what people used to search something web world. Therefore, it becomes crucial that you use right kind of keywords in your profile. As discussed in above points, having a complete profile with apt profile pictures and right information is beneficial, but all of this requires one common element in your profile that is using the right keyword. Take some time and search for the relevant keywords that people are looking for hiring in your industry, work on those keywords and incorporate them beautifully in your profile. So that if someone is searching for the information on your industry, your profile will show immediately in their search results. People are not really fond of promoting themselves much on social media. They are shy to speak about their skills and talents to the world, but it is an essential process and step to do so because this helps for everyone to know about your skills and talents. Share your LinkedIn profile on Facebook, Twitter or even Google+, let everyone visit your LinkedIn profile and read about your skills and talents. Initially, during self-promotion, you might feel it embarrassing but do not give and keep working on it. Once the results start flowing and you get people coming to you, the embarrassment will gradually fade away and you will get your motivation. Keeping your options open and allowing to opportunities come is the best way to reach to something. Even if nothing happens then the best thing will be you getting to interact with people of common interest and discuss new things. Social media has become the new age savior for those looking for better opportunities and learn the latest ongoing information. This has made the world easier to live in than those times when people use to struggle and wait for months to get a job. Social media is a platform where everyone gets similar opportunities and those who are ready to take some steps ahead and work towards it. Similarly, LinkedIn is solely dedicated to those who want to connect and network professionally and find better opportunities. Like any other social media platforms it has its own downside along with the benefits, if you are not showing the right side of yourself on this platform, then chances are you might be sending the wrong signal to the people. Therefore, do a thorough research and review the best LinkedIn profiles, understand what makes them best and how you can incorporate that in your profile. With the right tactics finding the right opportunity will not be far.